On the list of most popular dinner dishes, tacos are right at the top. So popular, in fact, that we’ve even dedicated a day of the week to honor and enjoy them: Taco Tuesday! They truly are so delicious, and they’re so easy to make! 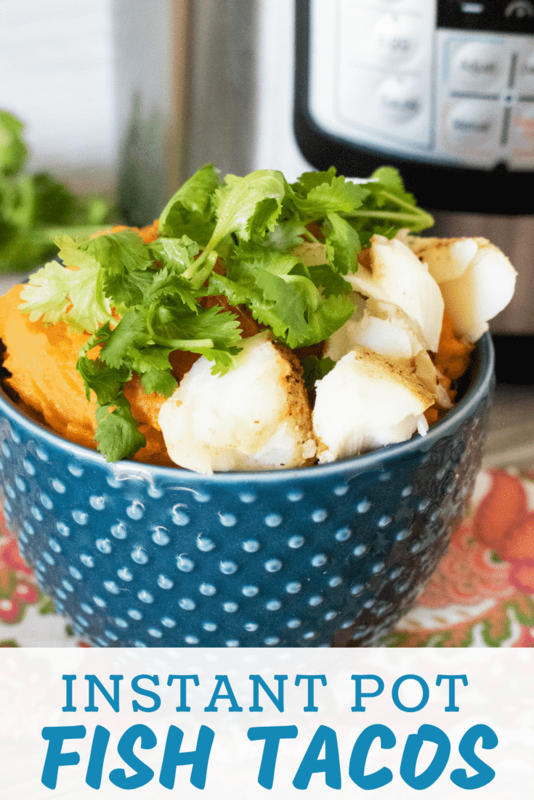 And with this recipe for Instant Pot Easy Fish Tacos, you can add “healthy” to that list as well. 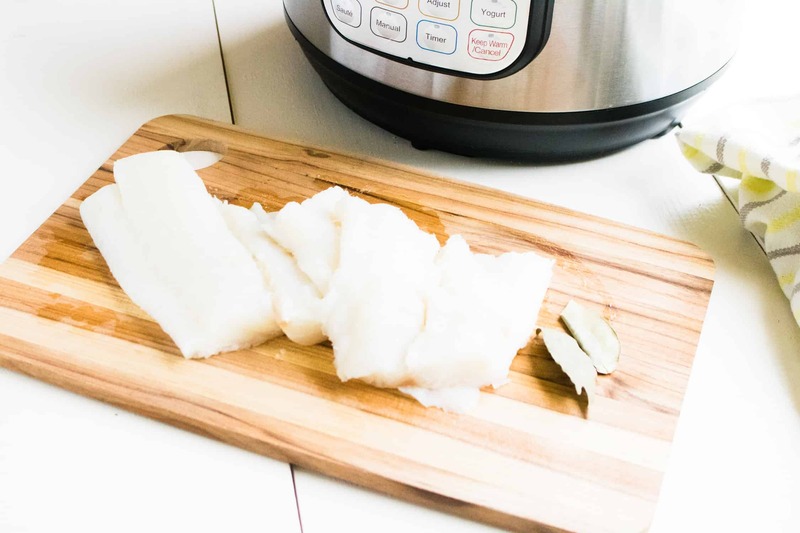 Cooking cod, or your choice of light white fish, in the Instant Pot means you can skip the added oils or fats, and still get fish that comes out moist, tender and flaky. Super tasty and super good for you! Tacos are fun because they let you use your creative side. An there are so many different and delicious ways you can dress them up before you chow ’em down. This recipe calls for regular flour tortillas, but you can not only use the more traditional corn tortillas, you can mix it up a bit and swap in spinach, whole-wheat or sun-dried tomato tortillas for a tasty twist. All of your favorite taco toppings, such as cheese, tomatoes, salsa, and lettuce will compliment the delicate cod flavor really well. But if you’re in the mood to jazz it up a bit, try topping them with mango salsa. Or make them with Baja style flair and use a squeeze of lemon, tartar sauce and shredded cabbage. Fish tacos are perfect for thinking outside of the box and having fun creating your own signature topping combinations. 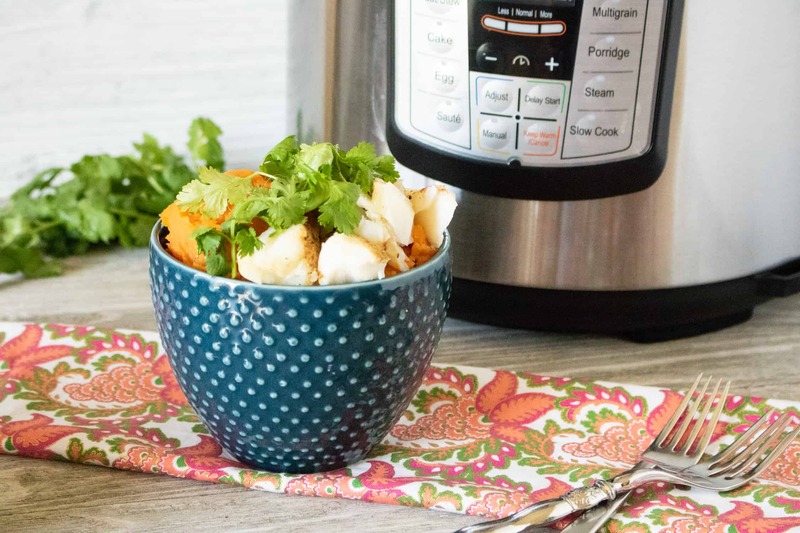 Wondering what to serve along with these tasty Instant Pot Easy Fish Tacos? Then you’ll want to check out these great suggestions. Cornbread might make you think of chili, but this amazing recipe for Mexican Corn Bread spices things up a bit and is the perfect addition to your Instant Pot Easy Fish Tacos. I always love some type of salad with my meal. To keep the Mexican cuisine theme going, try serving your tacos with this delicious Salsa Verde Mexican Pasta Salad. So good! And of course, no taco meal is complete without a side dish of hearty, zesty refried beans. Plus, you can whip up a big batch with almost no effort, thanks to this recipe for super easy & delicious Instant Pot Refried Beans. Step #1: Add 1 cup water to the Instant Pot inner pot. Step #2: Prepare cod for cooking. Step #3: Next, add cod to a baking dish along with seasoning. Place the baking dish on top of the trivet in the Instant Pot, then cover with a lid or foil. Step #4: Close the lid on the pressure cooker and turn the valve to sealing position. Step #5: Set to a manual high time for 10 minutes. When the cooking time has finished, do a natural release for 5 minutes before releasing the rest of the pressure. Step #6: Cod should be flaky. 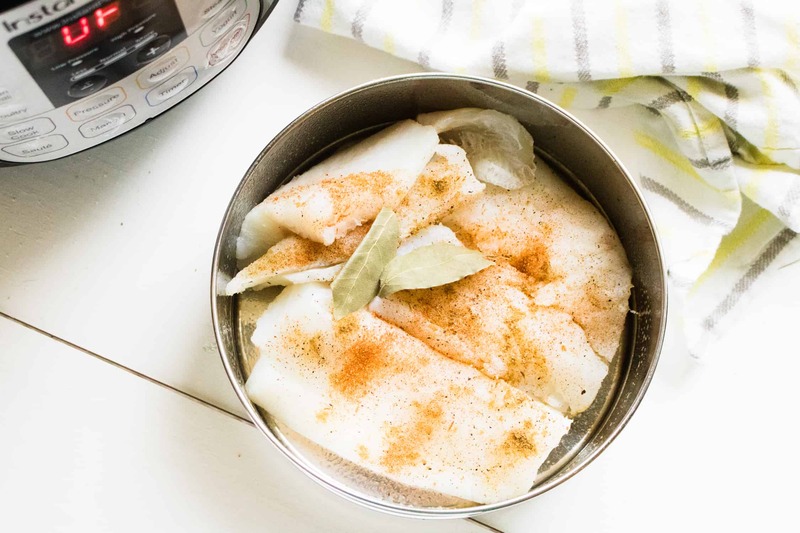 If fish has not completely cooked, place pan back into the Instant Pot with the lid/foil on it and then cook for an additional 3 minutes with a quick release. Step #7: Serve with flour tortillas and a variety of toppings. Learn just how quick and easy it is to make delicious Instant Pot Easy Fish Tacos. Add cod to a baking dish along with seasoning. Place the baking dish on top of the trivet in the Instant Pot. Cover with a lid or foil. Cod should be flaky. 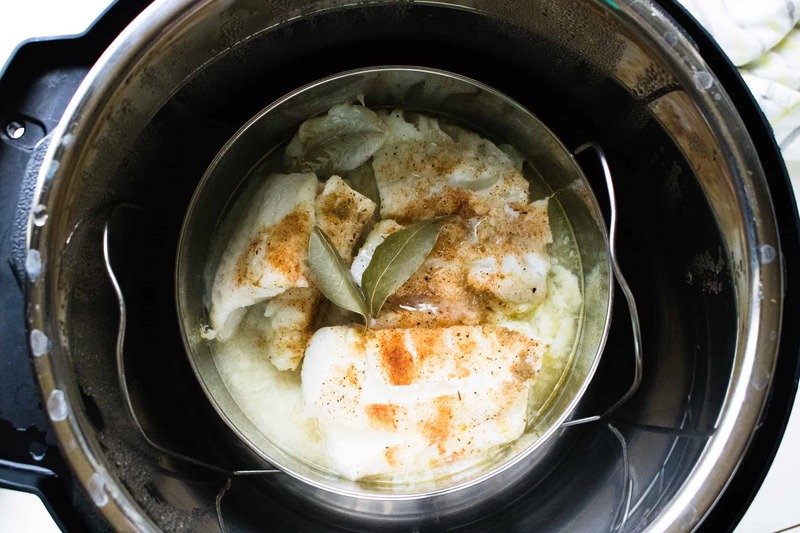 If fish has not completely cooked, place pan back into the Instant Pot with the lid/foil on it and cook for an additional 3 minutes with a quick release. Serve with flour tortillas and a variety of toppings.